Orthodontic tooth movement represents a series of events at both cellular and molecular levels which in turn stimulates inflammatory pathway to induce tooth movement. Some drugs taken by patients have a negative effect which can block this pathway, on the other hand, others may influence these events and reduce treatment time. A search strategy was implemented using both manual hand search and electronic databases, including Cochrane database of clinical trials, PubMed, ScienceDirect and Scopus. The risk of biased eligible studies to be included in the final analysis was assessed independently by two authors using Cochrane risk of bias tool. A total of 491 articles were identified in both manual and electronic searches as well as by checking the reference lists of articles to be included in the study. After reviewing the titles, abstracts and full-text articles, only 8 RCTs met the inclusion criteria, and thus, were included in the final analysis. Six out of the 8 RCTs were assessed as of low quality. No statistical methods were employed to combine the studies due to the heterogeneities of the studies and the low level of evidence. 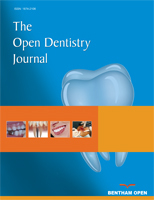 Acetylsalicylic acid and ibuprofen reduced orthodontic tooth movement whereas paracetamol, Rofecoxib and tenoxicam had no impact on orthodontic tooth movement. Due to the low quality of the studies included, therefore to base our practice on scientific evidence, better-controlled RCTs are needed to investigate the impact of common medications on orthodontic tooth movement. Keywords: Orthodontic tooth movement, Drugs, Medications, Pharmaceutics, Analgesics, Acceleration, Inhibition, Drugs effect. © 2019 Khalaf and Mando.